The last part of the Master Bathroom that I needed to take care of was adding a shelf liner to the bottom of the vanity. 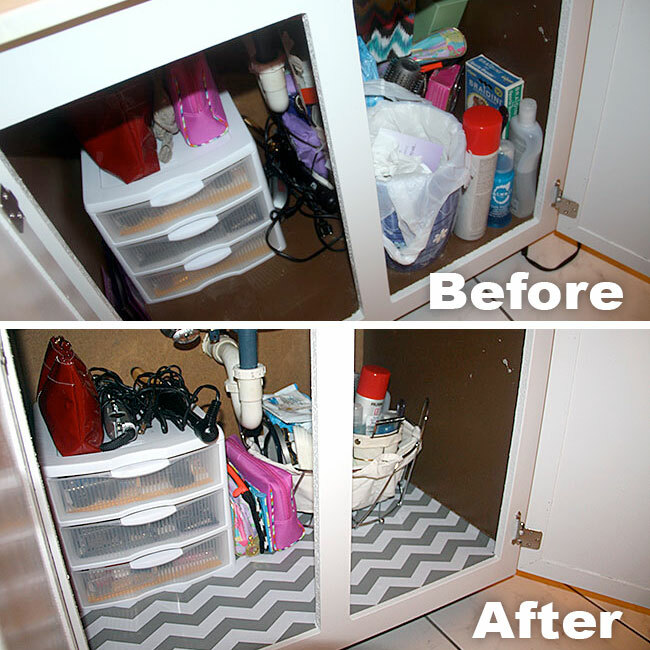 I also cleaned out the bottom of it as well, since I had to take everything out to apply the shelf liner. Here is a before picture… YUCK. 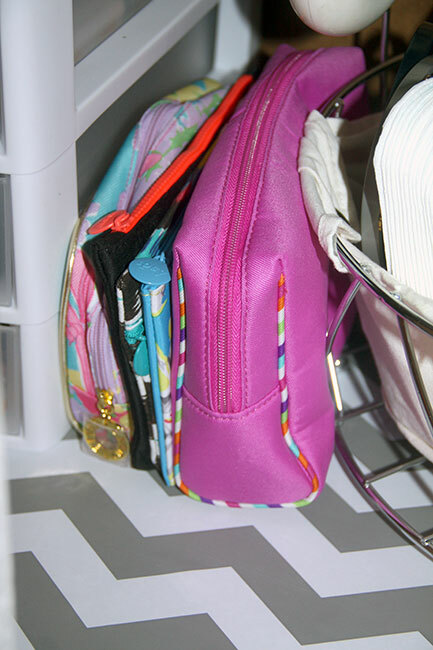 The only organized part is on the left where I have my makeup organizer. Otherwise, everything else under there is a big mess! 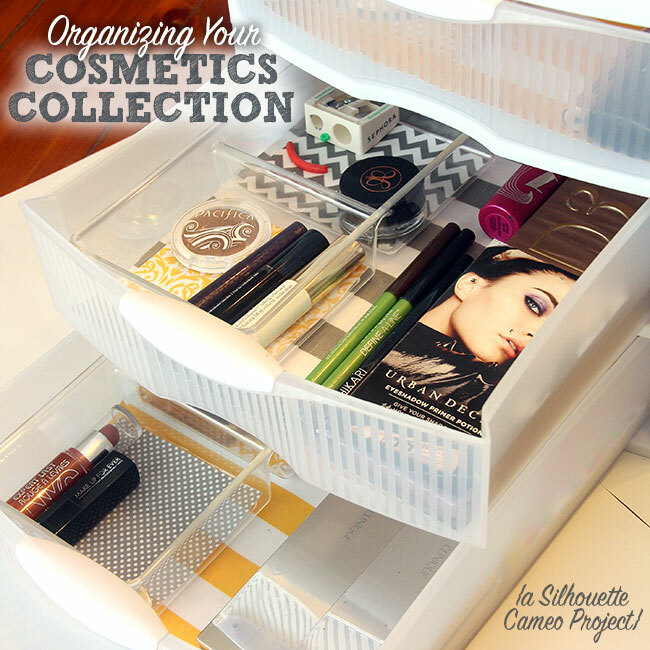 Here is my post about creating your own makeup organizer, click HERE to see it. 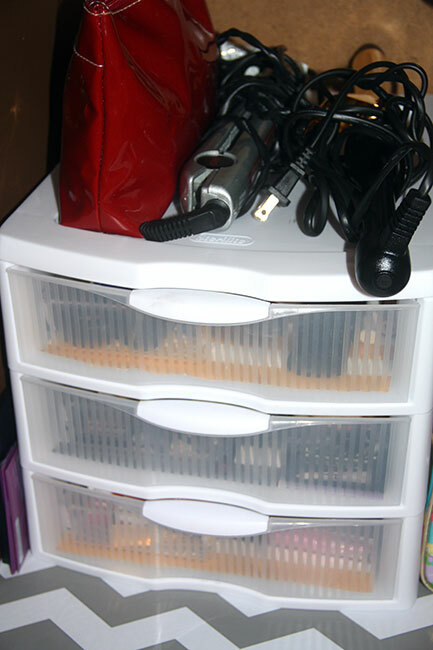 I am still planning on making one more organizer for the vanity for my hair styling products, headbands, ties, etc. All of the junk that I pulled out! 3/4 of this I didn’t even need or use anymore! 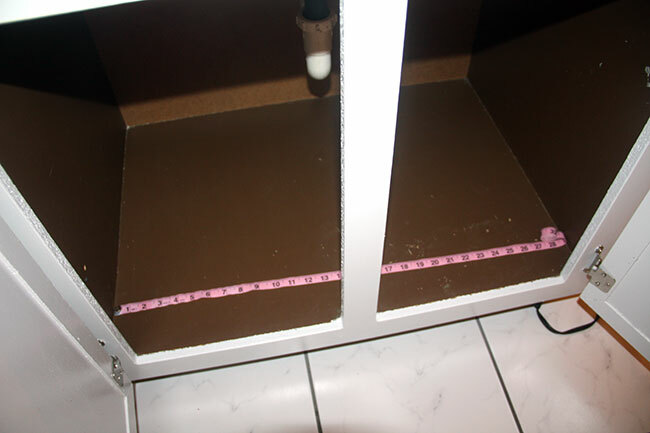 The first step was measure the length of the vanity. 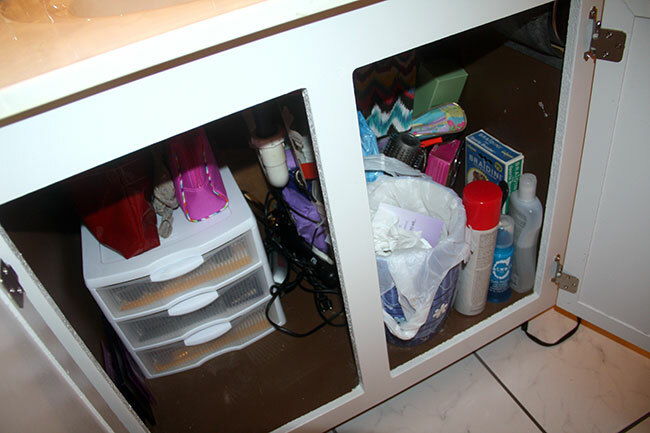 Then I measured out the contact paper to the same size of the length of the vanity. 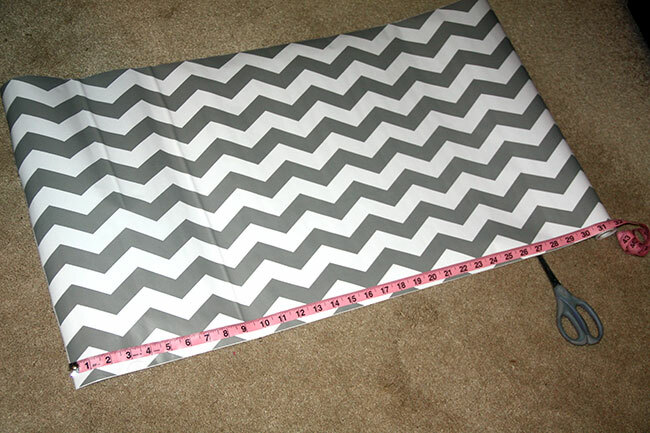 The shelf liner had measurements and lines on the back-side and I made a notch with my scissors and then cut all the way across. After I cut the first piece, I knew I would still need to cut a second piece. 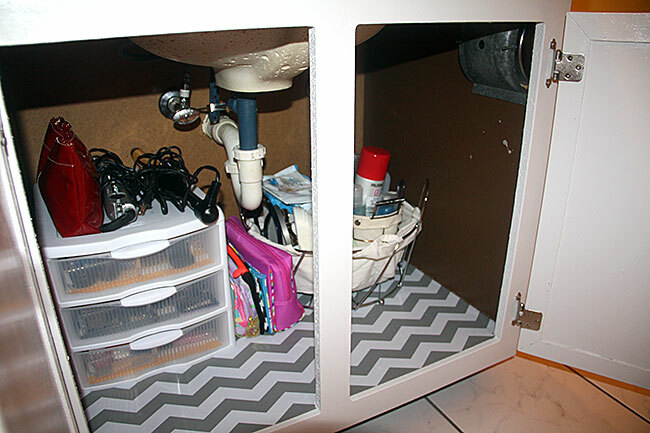 There would be 4″ that would need to be covered inside the vanity after laying down the first piece. 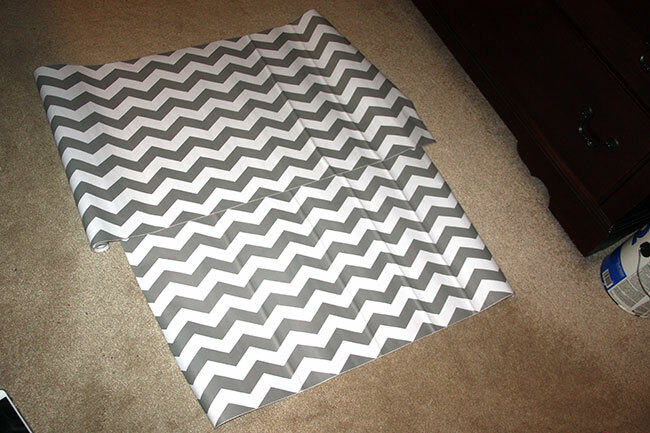 I went ahead and cut the second piece out before laying down the first piece, so that I knew it would line up with the chevron pattern. What I did was I had a little overlap on the second piece, so that it was easier to line it up with the pattern. 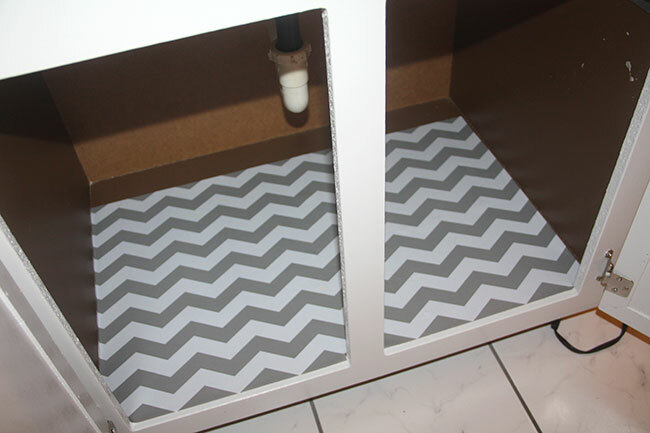 You probably want a little overlap anyway, so that there isn’t a seam that dirt can get into when you line the two pieces up together inside the vanity. I peeled off the back of the shelf liner (its just like contact paper) and pressed the sticky side down on the vanity. It took me a few tries to get it down evenly without any bubbles, since it was such a long piece… (I promise I didn’t curse.) I got it down after the third try! You’ll see that I still had 4″ to cover and that is where I laid the second piece. All done! 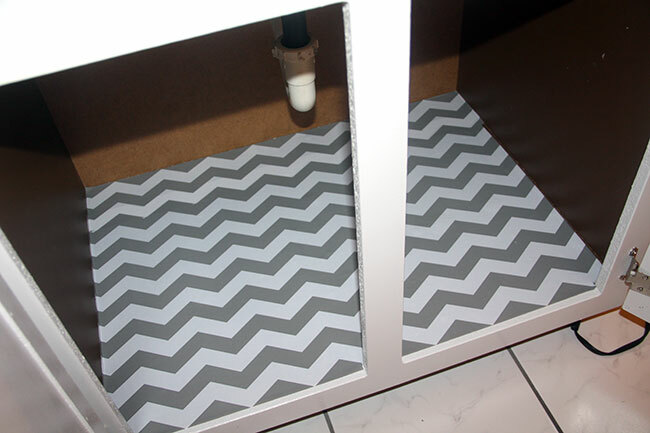 This contact paper goes with the gray and whites in the bathroom and it really lightens up the inside of the vanity! 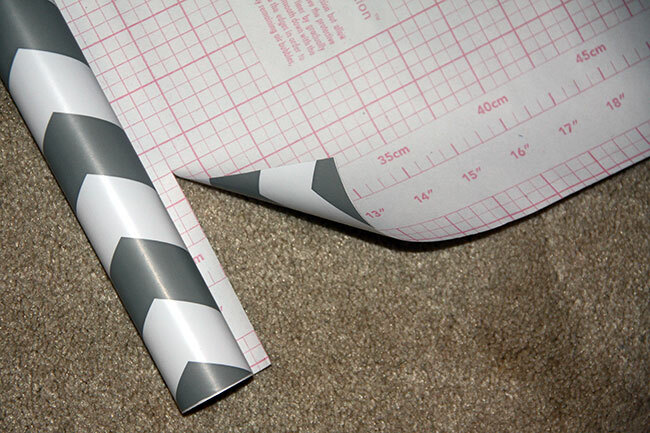 I found the shelf liner at Hobby Lobby and it was only $7.99 for the roll. 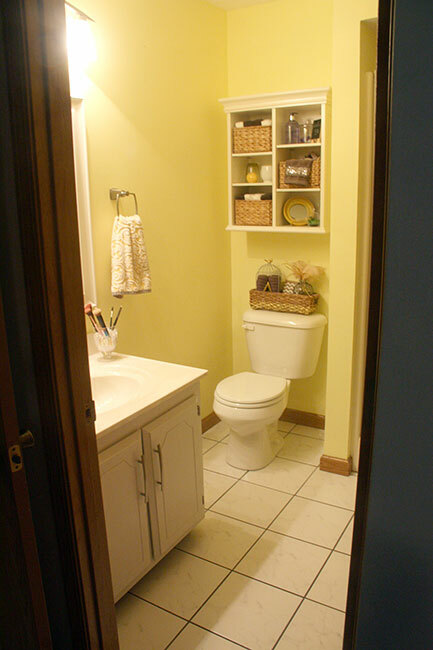 This is what the bathroom looks like if you were to step in from our bedroom, you’ll see that the vanity is painted a light gray and the walls are a soft yellow. I am so glad I was able to find a shelf liner that works so well with the rest of the bathroom. 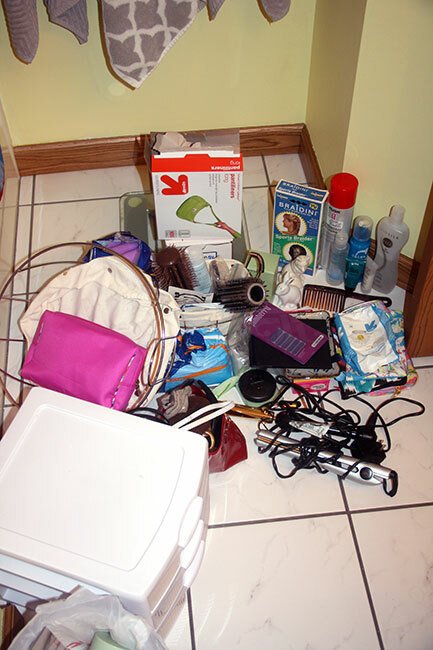 Its always nice to go through everything and toss or giveaway items you are no longer using! 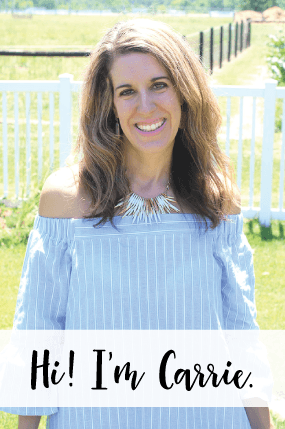 NEXT week I will be sharing the Master Bathroom Reveal post and then I will be diving in full-time on finishing my daughters room. I am working on painting her furniture and I need to finish the gallery wall in her room, it needs something along the top and side of her bed AND I also need to get rid of A BUNCH of stuff that she has in her room… it seems she has accumulated a lot of toys over the summer and I think some of the older ones need to go. Since she’ll be going back to school, Mom will be able to sneak in there and do this easily. 🙂 Shhh!